Just came home from an 1888 mile solo trek. I can recommend this ride to the adventurous rider. All paved 55mph/90kph 2 lane transcontinental highway around Lake is a 1400 mile loop. From my house it was 1888 total miles in 5 days. Isolated and beautiful (so I am told) but I had 1000 miles of rain and zero visibility fog for three days so I missed the magnificent sights. Lots of camping sites available enroute. Saw a moose the size of a horse so beware at night. 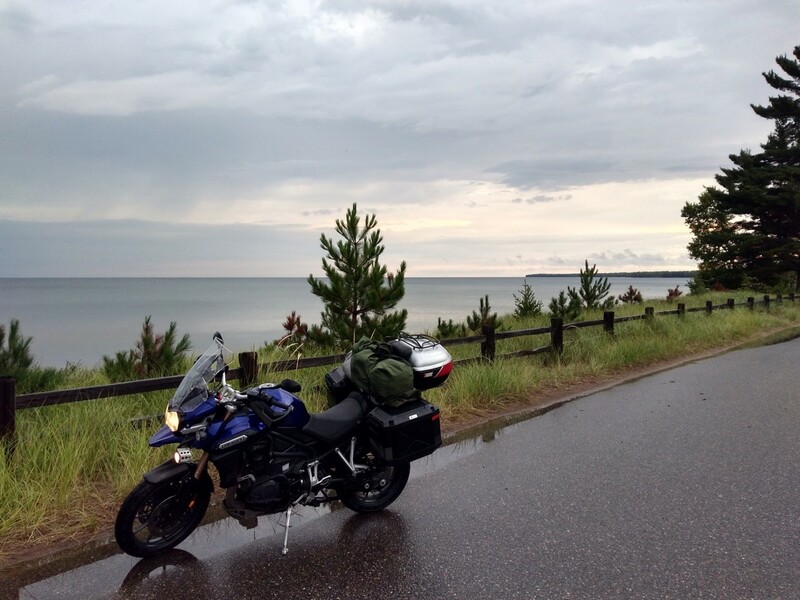 Triumph ran flawlessly and averaged 47 mpg after recent valve adjustment at 35,000 miles. Go when the forecast calls for sun! That's a fabulous trip. 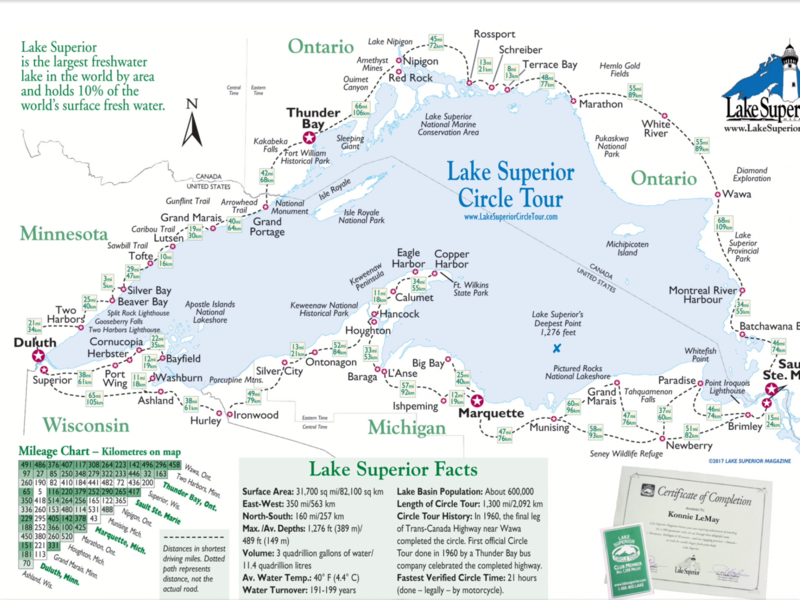 Did you get a chance to go through Pictured Rocks National Park? I and a buddy of mine did the UP trip a couple of years ago. It was a memorable trip! While in Duluth, MN, visit the Aerostitch store. You guys are just spoilt rotten, that looks fabulous!